Click on the map to view the high resolution version. Use the magnifier to zoom into a region of interest. This map is just one representation of many other map sources that are available for Aboriginal Australia. 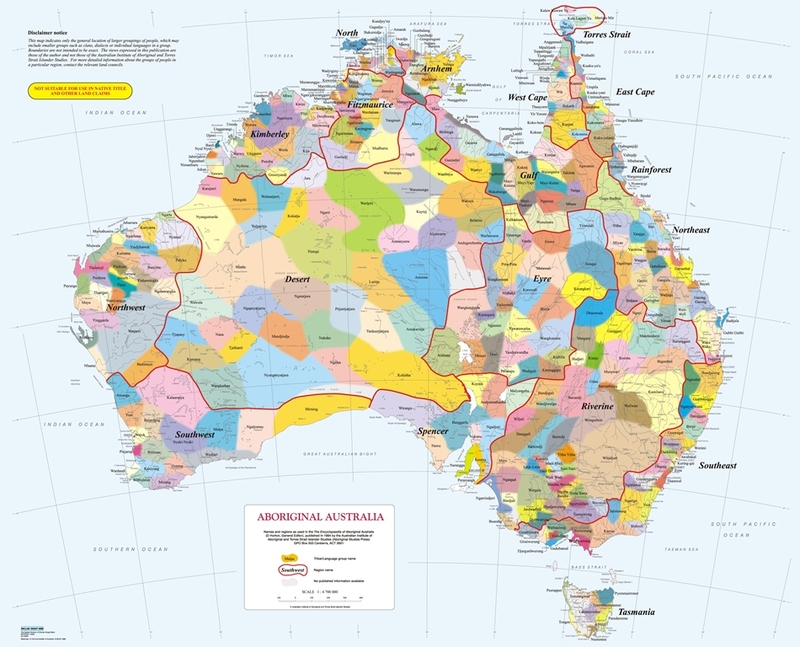 Using published resources available between 1988–1994, this map attempts to represent all the language, social or nation groups of the Indigenous people of Australia. It indicates only the general location of larger groupings of people which may include smaller groups such as clans, dialects or individual languages in a group. Boundaries are not intended to be exact.